I love steak. If I have the chance to choose my last meal, a good slab of well-prepared steak, cooked medium rare, is probably what I’d ask to have. So, when Deal Grocer offered a 3-course Steak Dinner from Enderun’s Restaurant 101, I was quick to click buy. I was excited about the deal. It’s affordable, it’s a restaurant I haven’t tried, and it was steak. Restaurant 101 is Enderun College’s training kitchen of sorts. But while it’s where their students learn to cook and serve in a real restaurant setting, the kitchen is still under the control of a professional chef, overseeing the cooking as the students assist. Same thing with the service, the students serve side-by-side with professionally trained waitstaff, who, I must commend, were good at what they do. 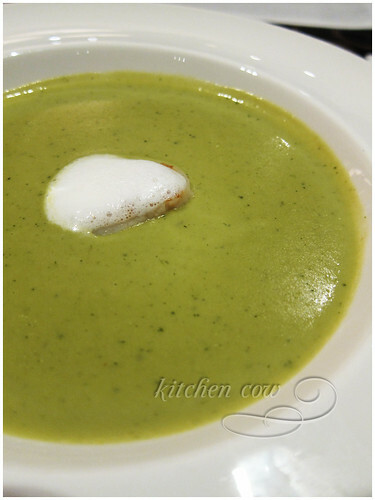 Dinner started off with a cream of watercress soup, with poached oysters and truffle foam on top. I neglected to ask whether any changes were made to the menu—we were arguing whether the tasty lump in the middle of the soup was really oyster. I thought it was a scallop. 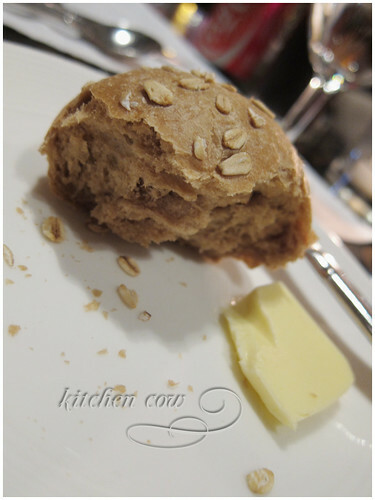 The texture was unlike the oysters I’ve tried (fresh and baked) but as I’ve never had them poached, I could be mistaken. Identity of the lump in the middle notwithstanding, it was delicious. The soup was delicate and the lump was well-seasoned, with the truffle foam lending its distinct earthy aroma to the whole dish. We were off to a good start. Our entrees, a slow-cooked U.S. butler steak with glazed vegetables and french fries followed. The dish surprised me. It was quite large. I was expecting a smaller cut—it was a packaged set meal after all. My joy was short-lived however, as I took a bite of my steak. Let me be clear. This is my first time to eat a butler steak. I prefer rib-eyes with its glorious marbling that can send you as easily to heaven as to a hospital’s E.R. So, the butler? It wasn’t what I was expecting. Instead of the usually beefy yet tender bite I’ve come to expect, it was a soft tenderness that reminded me more of processed meat than actual beef slabs. Oh, it was probably prepared well—the center was a gorgeous pink. But the cut itself isn’t something I’m used too. I know, I know, I should’ve done my homework, instead of just drooling and clicking buy. There you have it, kao showcasing her ignorance again. 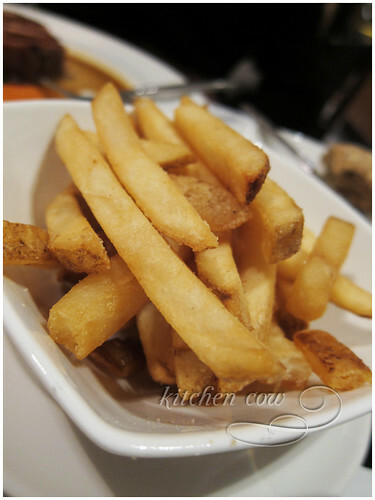 Please forgive me and let me munch on my super yummy, perfectly cooked fries in peace. The meal recovers with dessert–an evil, stop-counting-calories slice of chocolate. 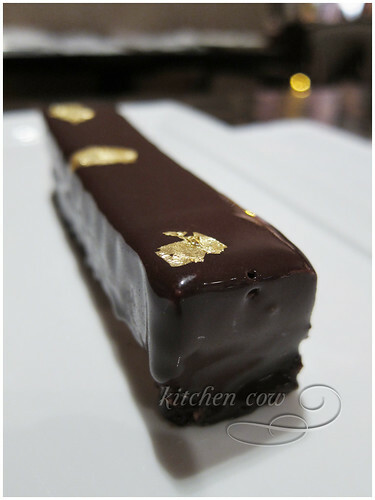 It was made of a light yet rich chocolate mousse, layered atop a chocolate crisp that was faintly reminiscent of the Violet Crumble chocolate bars from my childhood, enrobed in a smooth ganache then garnished with goldleaf. My one improvement about it would be to make the crisp part thinner. It was a tad difficult to poke your fork through the crisp part. But other than that, evil evil goodness. Despite my dislike of the steak, I still consider Restaurant 101 a good discovery. 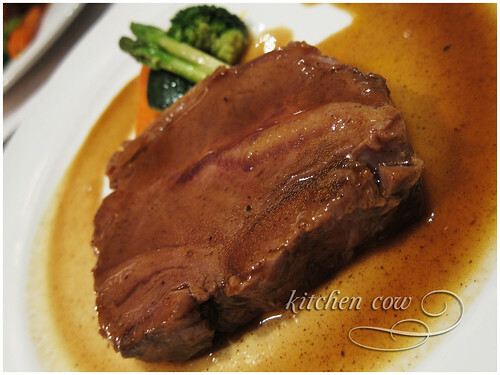 The skilled cooking shone through, and I would love to come back and try something else from the menu. In fact, I probably will. Supported by excellent service, it’s a good restaurant to visit when you’re looking for a quiet, yet elegant meal. This entry was posted in restos & eateries and tagged bonifacio global city, enderun, enderun college, fort mckinley, restaurant, restaurant 101, school, taguig. Bookmark the permalink. No wonder the tuition fees at Enderun are sky high…if they can produce dishes like these, that means they’re really good at training future chefs! I bought and greatly enjoyed that deal, too! Like you, I didn’t enjoy the steak that much, but only because no matter how hard I tried I couldn’t bring myself to eat anything rare or raw. But the dessert, you phrased it perfectly – evil, evil goodness! Well, it’s still a pro at the helm but I guess you’re right. Baka pwede ibalik to the kitchen to get it done medium well? At least we’ve learned our lessons. I really wouldn’t mind coming back to try their other stuff.